Home > Ask Our Experts > What Are My Chances of 50/50 Residence? I currently have my son 3 nights a week and this has been the arrangement that my ex told me I was allowed. I work a 4 on, 4 off shift system so my weeks are 8 days. Ideally, I want to share our son 50/50 but was told by her that I should think myself lucky as most dads don't have their children anywhere near as much. Is it right that I have no hope of 50/50 custody? I can entirely sympathise with your predicament. This may not be what you want to hear, but you do have a lot more contact with your son than most separated dads. There is no legal minimum or maximum where Custody Is Shared, as each case depends on its particular facts. In all cases, however, the court will be primarily focused on the child’s best interests. You haven’t said whether you and your ex were married or not, so all I can advise you on is if you were to make a freestanding application to the Family Court to try to enforce your right to an extra half a day a week. Of course, you will be able to judge your ex’s potential reaction to a family court case better than I can. What would she do if you told her you were taking her to court over the extra half day? This is a judgment call for you. At the moment, your custody is shared 43/57 – and while every moment with your son is extremely precious, would there be a possibility that your ex could make things a lot more difficult than they are now? I don’t know how old your son is, but what effect could his parents going to court have on him? Forgive me if I’m way off the mark here, but it seems to me as though you’re very angry that your ex has control of the situation – i.e. that she has dictated how much time you spend with your son, rather than it being a joint decision between two parents (and I can understand why you would feel this way). If you were to make an application to the family court, the judge or magistrate would look at what was best for your son. This doesn’t necessarily accord with what either you or your ex wants. The court would look at both you and your ex as equals, and decide what to do about custody based on the evidence put before it. Although it used to be quite rare, courts are increasingly prepared to grant shared custody. What they are looking for is whether you and your ex can get along for the benefit of your child, and, in terms of practicality, if you live close enough to one another and the distance to your child’s school. Another option would be to look at Mediation, which would mean that the decision would remain you and your ex’s to make rather than at the discretion of a third party. If you went to court, there is always the chance that the court could direct that you had less of a share of the custody of your son, rather than more. I wish you the best of luck with whatever you decide. Hi I have recently had a baby, throughout my pregnancy I had little or no support grpm my daughters father or his family because he insisted on a dna year. One where the baby was born o done the dna and still very little support and he hardly comes to see her. Today he said he will be taking me to court for joint custody. What are his chances of getting full custody even though my daughter is only 7 months and she hardly knows him. I am currently going through a break up and have a little girl. This is the most toughest time of my life and most of all has a big effect on my child. I read these articles and it frustrates me that women seem to be the number 1 in the relationship and the child also should be with the mother. 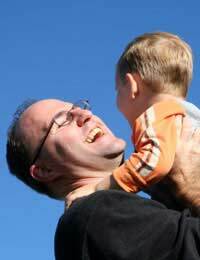 Articles stating dads should think very hard before committing to joint or wanting full custody. I’ve gone from a full time dad down to less than part time. I cannot cope without my child. I committed to my child as soon as I knew we was having her so don’t tell me that I need to think what I want before I commit. The mother is equal to the father in every way so don’t go stating otherwise. There should be no debate on this. It’s like a black man and a white man don’t get treat any different and neither should a gay or straight person. Everyone is equal in this world and a child should be brought up with both there mother and father in it equally. You are absolutely right. Unfortunately, some resident parents for whatever reason do not wish to see the equality of parents (especially if the parent has been hands-on and integral to the bringing up of the child). However, you do have recourse, please see link here . Our Separated Dads forum may help. I have a four year old daughter, sadly my ex and I broke up a few years ago, contact was good for a while, always seen her when I could. Which was quite frequently, I then get a new partner then my ex stopped me from seeing my child. I tried and tried and tried to communicate with her to see what the issue was, but she was reluctant to communicate with me to fix the issue. So I suggested that we go to a child contact centre so I could have regular access ( once a fortnight was all I was allowed because of the way the contact center worked) after the contact center, a parenting plan was made in front of the organisers of the contact center which my ex and I bother wrote and agreed too. I had consistent access to my daughter as per the parenting plan including 1 over night stay a week, my new partner and I was expecting our first child together. Ever since then, things broke down massively. 9 months later the birth of my new born was here and it just got worse and worse. The ex finally got a new partner, the only problem was that he was the one that used to abuse her mentally and physically. I showed my concerns and this was neglected by the ex, to which I took my own course of action by applying for a Claire law form to be done on the ex's new partner. All clear thankfully. I explained to the ex why I took the steps I did and put it behind us, 2 months later they split up. A month later she got a new partner and introduced our daughter to him straight away, days later I found he was a suspecteddrug addict, again I made my concerns heard, to which was ignored and she took it as a way of controlling. At this point she then said she contact social services and advised her to stop contact with me because of safe guarding reasons. I phoned social services, spoke to four different representatives and they said there is no record of my daughter, or my ex or my self being on record. I tried and tried and tried to get a resolution for my daughter so she didn't lose routine of what she had at my partners and I house. But no luck, with in 2 weeks I had applied for mediation where the meditator said that it wouldn't benefit us going to mediation ( I showed all conversation between me and my ex) a further week later I have applied for court. I now have court it 3 weeks time for access to my daughter. Based on the fact that I had so much contact with my daughter including over night stays, what would be my chances of 50/50 residency. I want my daughter to know her sister, be apart of her life. I'm extremely close to my ex's house and extremely close to the school. I'm talking with in 5 minutes away. I'm considering going to court to get more access to my son. Prior to meeting my new partner and starting a family I used to see him all the time but since this my ex has denied me access completely resulting in me having to apply to the court for access every other weekend. This is not enough for me, or my son. Both he and I regularly ask my ex to spend more time together but she usually either ignores me or states that if I want to see my son more then I need to leave my partner. I have always adhered to the court order and have even been flexible occasionally sacrificing my time with my son in order for him to go on holiday on the promise that I would get the time back, which obviously she never honours. I arrive at least 10 minutes early every other weekend to collect him and he is consistently dropped off late. There has even been a time when she has just not turned up as apparently she forgot! There only appears to be flexibility on my behalf and I am unsure of what steps to take as the relationship between his mother and has completely broken down. My primary concern is that my son has a happy and stable life. I believe I can provide this more consistently than his mother as she works long hours and he is often left to attend after school clubs or is in the care of wider family members. I also find it upsets the children that live with me having to wait so long to see their brother. I only live 7 miles from his school and my partner would be able to get him to school. Often when I ask my son where he is staying when I drop him home he doesn't know, he is passed from pilar to post and I feel I could offer him more stability. Your partner's only recourse is to apply to court, if mediation has not worked. You can see more regarding child arrangement orders via the link here . As in all applications for a court order, the court will decide first and foremost upon what it thinks is in the best interests of the child. I am writing this on behalf of my partner. He would like 50 50 care of his son. He has had to fight to get any access to his child. The ex refuses to pay half of mediation costs. After 18 months they agreed a 4 week rota for weekends only. This has been in place for 2 months and his ex has canceled two access times already. We have just returned from a weeks holiday with his son who had a lovely time yet his ex is saying the child doesn't want to go away with us again. Child is 6. My partner believes we can offer the child a more settled and stable home life than she does. In a year the child has been introduced to three boyfriends. One of this was leading a double life, the next living in rehab, the current one is too new to know anything about. We live an hour away from the child's home and school but my partner works down the road from the child's home. He is self employed and therefore able to take his son to school and I am able to collect from school. The child is currently in a different care environment after school every day, most of these are his mother's friends or his mother's work place. In school holidays he is placed in play schemes. Again if with us he would be in my care. Due to the distance is a court likely to look unfavourably on equal care. Also the ex has 3 other children who she has successfully prevented having relationships with their fathers, one is oblivious to who his father is as she has told him it's the same man as the other two. Firstly, if your partner does not have regular access to his child, it is unlikely the court would agree to 50/50 access. Shared-care is usually only awarded in cases where shared-care already exists or previously did (if the parents have recently separated). My ex has admitted she wont let me continue my 50% access to my daughter so i cant ask for half of the money she gets for our child. Can she do this and what can i do. I have parental rights and up to now i have my daughter fri till Monday every week. I asked for half of the tax credit she gets for our daughter and she went on one big time. There are issues as shes a high Cannabis used and my child returns to m e with headlice and stinking of weed and Tobacco. If you have had your daughter every other weekend since you have separated and you have a good consistent relationship with her, there is nothing to stop you pushing a little to take the matter to mediation. If your ex refuses, there is nothing to stop you applying to court either. You don't have to go on the offensive with your ex, you can simply explain that if she refuses to be open to the idea, then you are prepared to discuss the matter via mediation and/or if she refuses mediation you are also open to taking the matter to court in order to let the court decide what it thinks is in your child's best interests. Unless there is a good reason why your ex won't allow you more time, then the court will attempt to take a balanced view. However, I do suggest you take legal advice first as court is always considered a last resort. After Separation Hi i am wondering if somebody can give me advice or even better somebody who has been in the same position as me to tell me how their outcome was. I have a 3 year old daughter that i have had a contact order for, i see her 4 nights per week for the last 12 months and every christmas, birthday, fathers day and a full week in summer. Up until now the situation had been great but her mother got involved with a man who is very abusive and is on drugs, he has hit my daughters mother on a number of occasions infront of my daughter and her other two children but 4 weeks ago it got so bad that the police were called and social services were involved. My daughters mother was told by ss not to habe anything to do with this man which she agreed to but recently my daughter had told me that the man is back so i called ss to which they said they wasnt getting involved because her mother was denying it. I have refused to take my daughter back to the house and have applyed for an emergency court hearing for full residency of my daughter and for her mom to see her in a contact centre until i can be sure that my daughter isnt going to be around this man and witness the things that she has been and is safe. I am awaiting the court date and im wondering if anyone thinks i have a chance at the full residency. I have a phone call recording where her mother is admitting this man has been hitting her infront of the children and a police record of this, also on the recording she states that he is on cocaune a lot infront of the children. My main worry is that the courts will favour her because my daughter is already in a nursery by her mothers house but also right next to this mans house, hence im not taking her back to that nursery and once i have the residency will put her into a new one. My other worry is that ss have said they are not concerned and bieleve the mother but i feel they are fire fighting and only going to do something when something bad happens whereas i want to prevent it from happening. Also the mother has been lying about where she lives to me and has been asking me to drop my daughter off at a carpark miles from her house but next to where this man lives which at first made me very suspicious but once my daughter said this man was back that was it for me i couldnt take her back there. I am genuinly worried for the welfare of my daughter, not saying this man would hurt her but who knows, mainly because i dont want her growing up seeing a man hitting her mother and smashing the house up with an iron bar and also doing cocaune in her presence. This is the most stressfull time of my life and all i want is whats best for my daughter and for her to be safe. Does anyone think i have a chance at residency? Any replies will be greatly appreciated. I am really sorry to hear this. Unfortunately, there are some people out there that are really selfish and do not consider the needs of their children or can empathise how the other parent may feel. Your only route is the mediation or court route. When you feel ready, you may wish to suggest mediation as a way of coming to an access agreement (as a rule, you cannot apply to court, unless mediation has been considered/attended). If your ex refuses mediation, then your option would be to apply to court. The court does want non-resident parents to have access to their children, so you are doing the right thing by keeping contact constant and developing a relationship with your child as this will serve you better if you have to go through the court process. In the meantime, I advise you join our Separated Dads forum, which can offer helpful advice and also perhaps a group such as Families Need Fathers. Many fathers have been through similar issues and can give very helpful advice. Being armed with knowledge is your best course of action, in order to get a contact order in place when the time comes. Best of luck. @Dadr .. Thanks!! Just hope courts don't go with the 'mother should see them more spiel'. We shall see!! @Anom - this really is a 50/50 possibility. If the kids were already in school you'd stand a good chance - but as they haven't started yet it makes it more difficult. Good luck mate - hope it works out for you. Hi All, I've been separated from my ex for a year now, we have two children (4 & 2) and up until now have sorted arrangements between ourselves - I currently have my children Tues PM - Fri PM. She recently told me that she is pregnant again and is moving my kids a 2 hour round trip away and has basically said tough, and that when they start school, I will only get to see them on weekends as they will be going to a local school. Because of this, I've gone through the courts for shared residency so it's on paper when I have them, and requested they stay at their school they're on the waiting list for because I will be taking them to school 3/5 days. She's said she's going to fight it as she misses them when their with me(Which I equally miss them when they are with her.. that's life of being seperated!!! )doesn't want to lose her authority of them as she often uses them against me and stops me seeing them for a period of time if she doesn't agree with something, e.g.. I changed my profile picture to myself and my new partner and she blocked me and stopped me seeing my kids for a week. Any advice on if i'm likely to get 50/50 shared residency would be really helpful. Hi. My son's mother split up with me when he was a few weeks old. I've not seen him for 3yrs now but was thinking of trying the courts again. Tried mediation a few times over the years but she declined the interview. Do I have a chance of seeing him?I have a job but I live alone and don't drive and I have bipolar and they probably think I'm a lower but I wanted to be a Dad. She and her partner have another child and probably have a great life. I did ask to see him but they put an order in place to say I couldn't ask to see him and I was told I'd get in trouble if I asked to see him directly or through my Dad or sister. My sister sees him a couple of times a yeah,she won't pass messages or anything but I give her books to see him. Can a judge say you can't see your child if you have depression? I don't know what to do anymore.